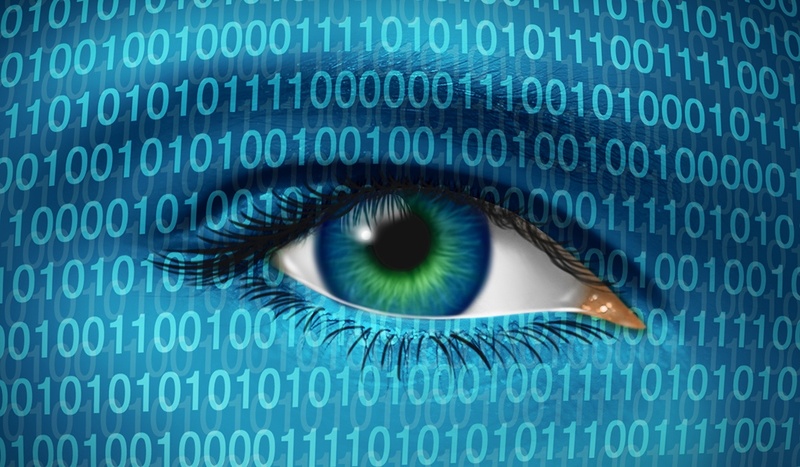 Data collection is only part of the story at Headwall. Powerful software not only manages the hardware, but also processes and interprets the data after download. 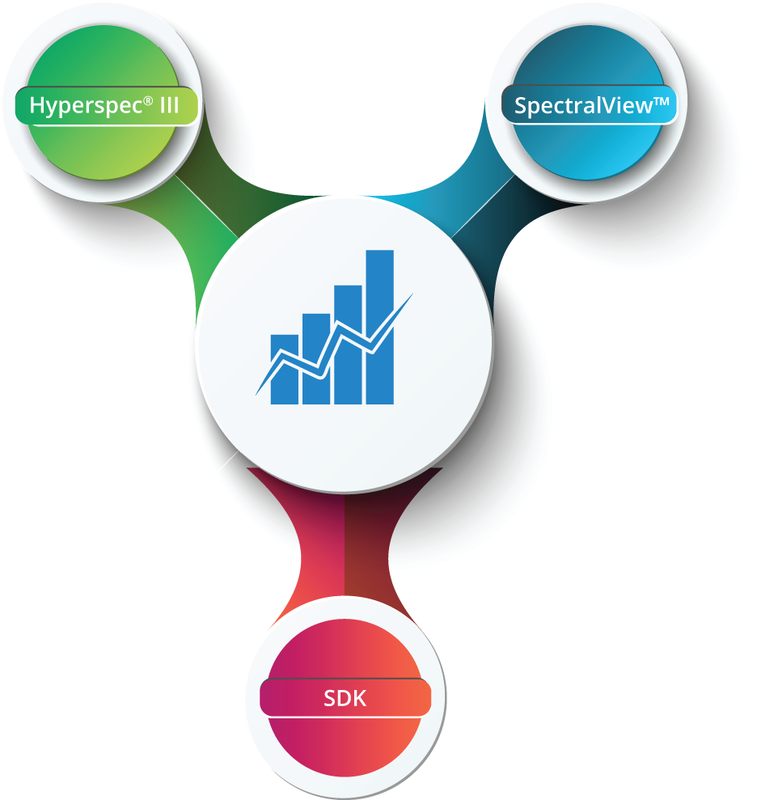 Data exploitation is the means by which rapid analytics and decision-making can occur, based on the spectral image data collected. Headwall is at the leading edge of this movement, for both airborne and lab-based applications. 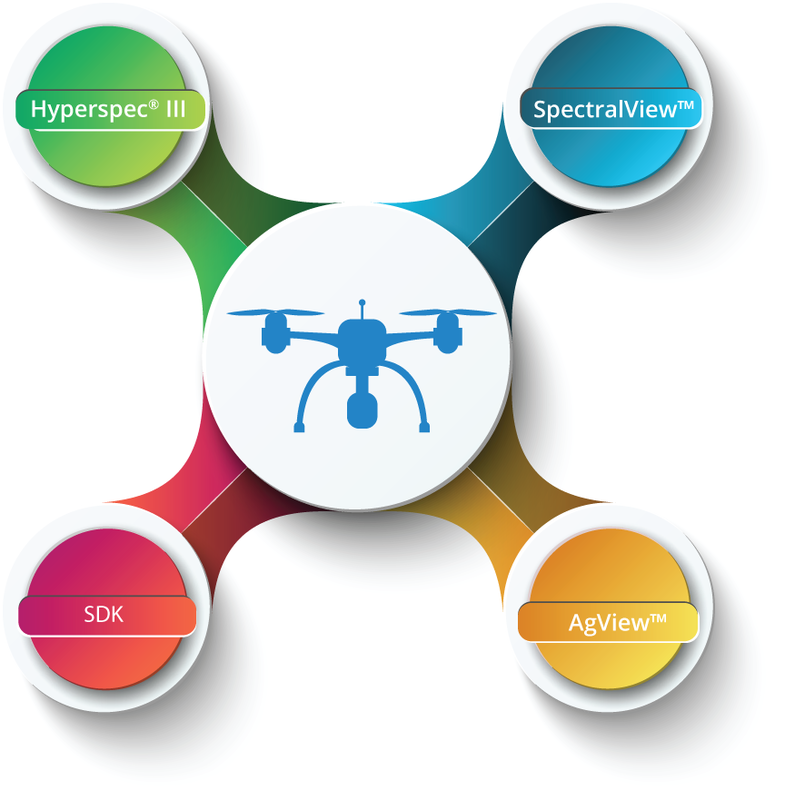 Headwall's HYPERSPEC® III software provides all the tools needed to acquire data and is available in versions tailored for airborne, ground-based or lab applications. 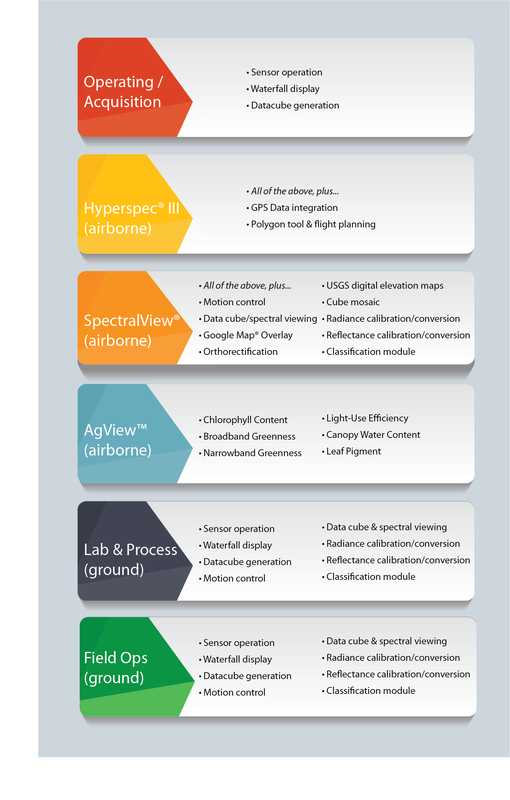 SpectralView® is also available in versions tailored for airborne or lab/ground-based applications and provides all the tools needed for post-processing and gives the user actionable data. 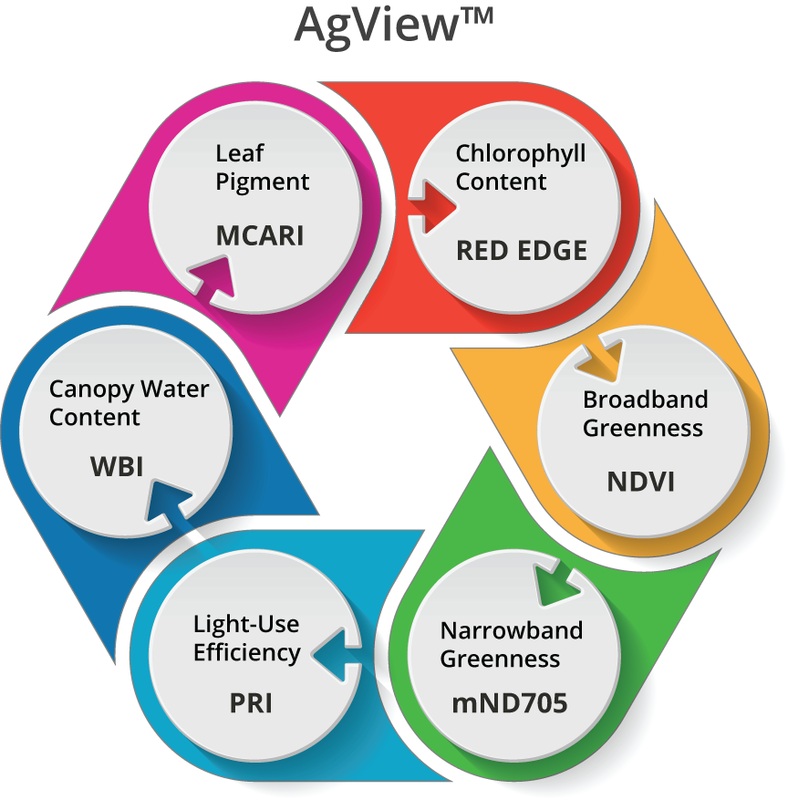 AgView™ is Headwall's agricultural-focused software application that uses multispectral or hyperspectral image data to quantify six different vegetative indices (VI's). The application is designed so that you can fly the field and interpret your data the same day.